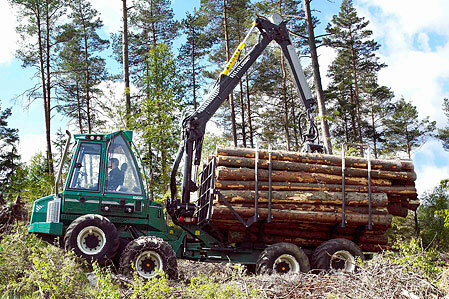 Gremo 1050F is a further development of the successful forwarder 950F which has been market-leading in Sweden for over a decade in the "Small-Class-Forwarders". With the introduction of 1050F we grow one size which will make it more lucrative for you as the owner. Underneath the bonnet you will find a powerful Cummins Engine with Common Rail system. The engine is stage-3 approved and has a torque exceeding 600Nm over a wide rpm-range. At the same time as the engine possesses these powers, it is also light, compact and quiet. 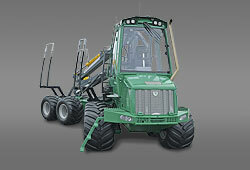 Of course, the forwarder is equipped with our inhouse-developed software GreControl. With GreControl you can modify a lot of functions depending on style of handling, type of crane and task. Hence you have the possibility to reduce fuel consumption and further increase the profit. So, what is the 1050F most suited for? 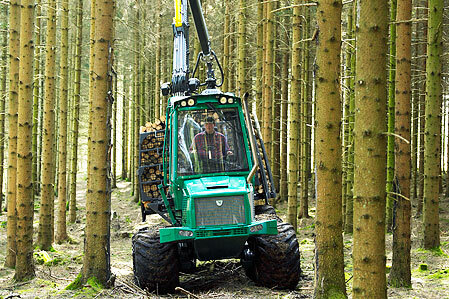 Thinning and timber are the main tasks for this flexible and strong forwarder. 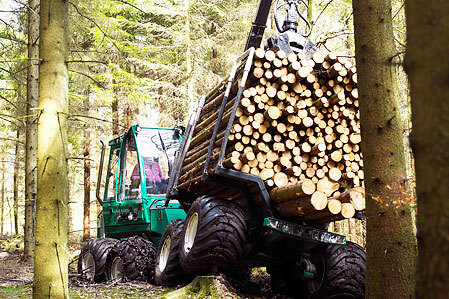 Wetlands are no obstacle - just add tracks to the tires and the machine will make it in the terrain without hassle.